Me and the mister were sitting out on the deck last night listening to summer come to a close in our northern state. The sound of the crickets, tree frogs, and buzzing cicada’s got so loud at one point we looked at each other and laughed out loud. I remembered laying in my childhood bed with my head on the windowsill listening to the same sounds, knowing that September had arrived bringing cooler nights for sleeping and a new school year. 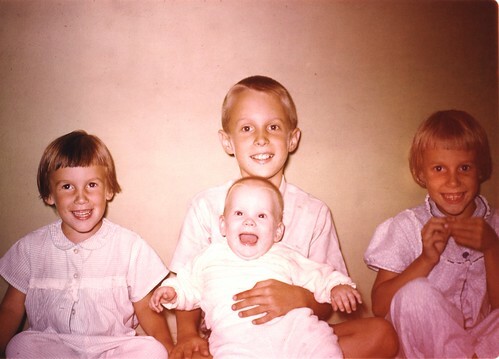 That’s me on the right with my brother David, my sister Amy, and our happy little baby sister Carrie. This past Christmas my seven year old niece danced out on to our deck while it was lightly snowing (she rarely runs or walks anywhere, she twirls and flits about like a little pixie). 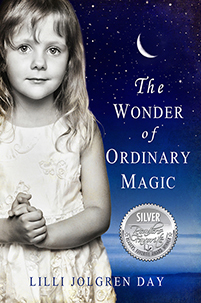 Suddenly, she came back into the kitchen shouting, “Look, look, I caught a snowflake and they really do look like snowflakes!” Balancing on the tip of her index finger was a single white snowflake that was so big you could see its intricate shape with the naked eye. The adults laughed gently and went right back to their conversations, but Laurel continued to stare with awe at the snowflake as it melted and disappeared. Of all the gifts she opened that day, none elicited the same amount of excitement and joy as seeing the divine design of a snowflake with her own eyes for the very first time. My sister Carrie took that photo of a snowflake on our mailbox at Thanksgiving with the macro setting on my Canon G9, it seems to be a year for giant snowflakes here in Michigan. 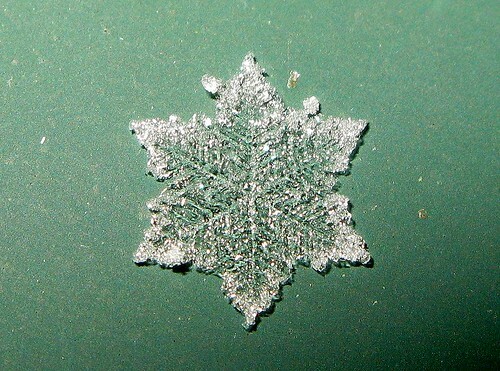 If you’d like to make your own virtual snowflake, click here and start snipping! Begin doing what you want to do now. We are not living in eternity. We have only this moment, sparkling like a star in our hand and melting like a snowflake… Francis Bacon, Sr.